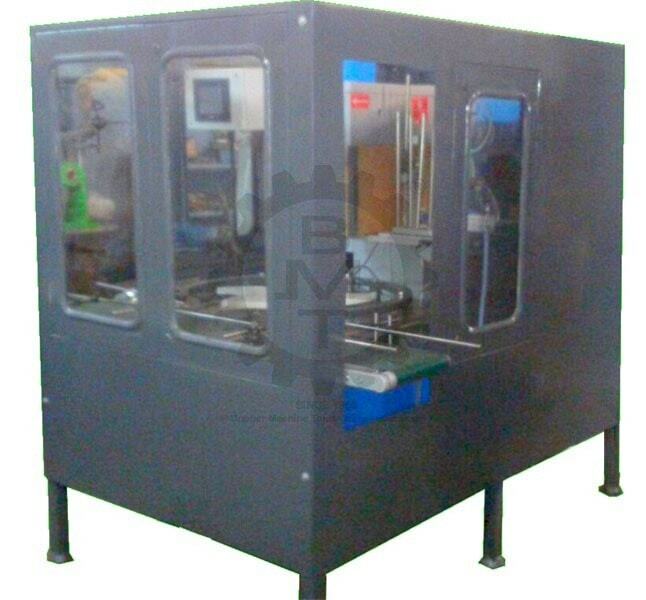 Fully Automatic Round Can Seaming Machine. Automatic Round Can Seamers for Metal, Composite and PET Cans. Works with Beverage Cans and Standards Cans. 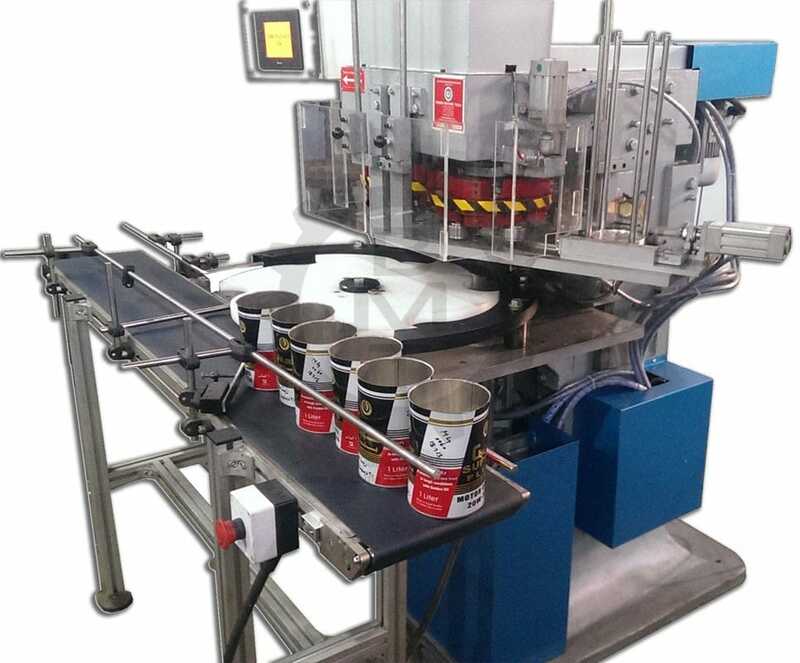 Cans are fed from an existing conveyor or a rotary table onto the machine conveyor. They are automatically indexed into the Seaming system. The Ends are placed on to the Can, it is Seamed and exited at the output side of the Conveyor. 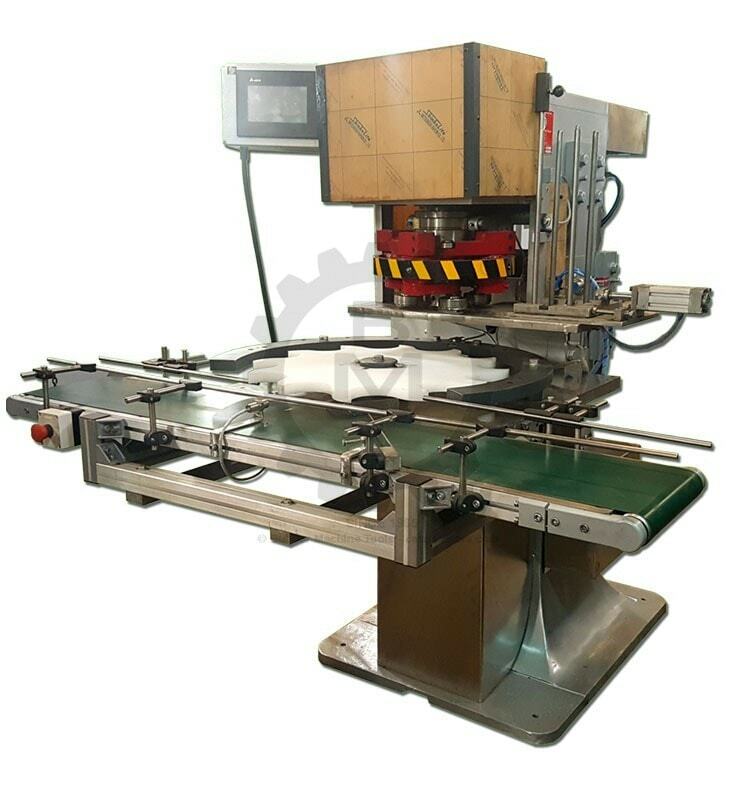 The machine can be fitted with several options such as Nitrogen Spraying, Product Filling Nozzle, Weight Checking system, etc.